Remember when Steve Jobs published an open letter calling for Adobe to kill off Flash and minced no words, saying Flash was “the number one reason Macs crash”? Five years later, the prospect for Adobe’s proprietary multimedia plugin is looking increasingly grim as opposition is mounting against Flash. Early in the year, Google stopped using Flash on YouTube after rolling out an HTML5 video player. Last week, Facebook’s chief security officer slammed Flash on Twitter and now the non-profit organization Mozilla has added every version of Flash to Firefox browser’s default blocklist. “All versions of Adobe’s Flash Player plugin are deactivated by default, until Adobe releases an updated version to address known critical issues,” reads Mozilla’s support document. Here we have an interesting proposition coming from a company which commands the second largest share of web video, after YouTube. Facebook uses HTTP streaming to deliver video to mobile devices, including Apple’s iPhone and iPad. Its web interface uses both Flash and HTML5, depending on browser preferences. Should Adobe decide to kill off Flash by the end of next year, it should announce the move in advance in order to “disentangle the dependencies and upgrade the whole ecosystem at once,” Stamos added. Security expert Graham Cluley agrees with Stamos. “The truth is that the company would probably gain a lot more respect from the internet community if it worked towards this ultimate fix for the Flash problem, rather than clinging on to the belief that it might be able to one day make Flash secure,” he wrote. These latest developments follow what could only be described as a pretty rough last month for Adobe. The Flash Player, infamous for having one of the worst security records, was discovered as having a slew of more than two dozen critical security flaws, of which at least 20 were discovered in the last week alone. As if it weren’t enough, some of the security weaknesses have been exploited. In response, Adobe released as many as four emergency updates. One of the bugs allowed hackers to take over your computer remotely. When the former Wall Street Journal columnist Walt Mossberg challenged Jobs on the iPad’s lack of Flash, as evidenced by black rectangles in place of Flash content on webpages in Safari, Jobs quipped that “those holes are getting plugged real fast”. He underscored Apple chooses which technological horses to ride very carefully and said Flash was on its descendancy. Just a few short weeks later, major online outlets started implementing support for web video delivery via the then new HTML5 video tag. “HTML5, the new web standard that has been adopted by Apple, Google and many others, lets web developers create advanced graphics, typography, animations and transitions without relying on third party browser plugins (like Flash),” wrote Jobs. “Flash was created during the PC era – for PCs and mice,” Jobs wrote. Shortly after Jobs essay went viral, Apple stopped pre-installing the Flash Player on Macs and later ditched support for older versions of Flash completely. Here’s former Adobe CTO Kevin Lynch defending Flash in a cringeworthy video. Since May of 2013, Lynch has been leading watchOS development for the Apple Watch as Apple’s Vice President of Technology. 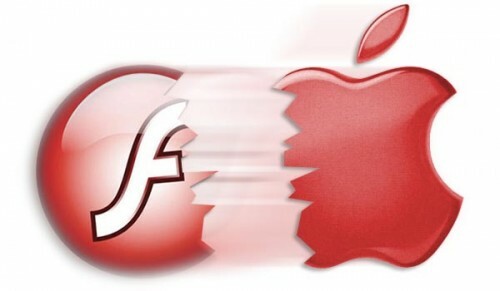 By all accounts, the beginning of the descendancy of Flash has in fact started when Jobs publicly opposed the platform five years ago, a stance for which he was unjustly chastised by disillusioned journalists and pro-Adobe bloggers. And if browser makers like Google, Microsoft and Apple opt not to allow the Flash plugin, just like Mozilla has done now, Flash could indeed die soon. 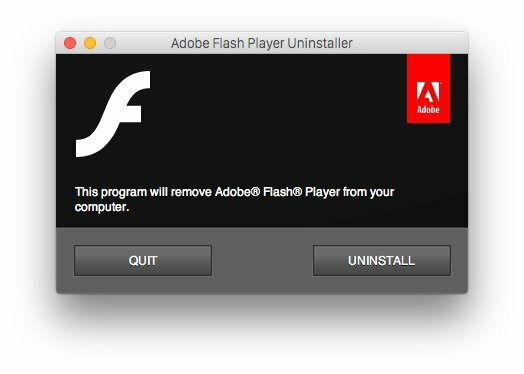 Is Flash Player installed on your computer? And what are your thoughts on Flash?